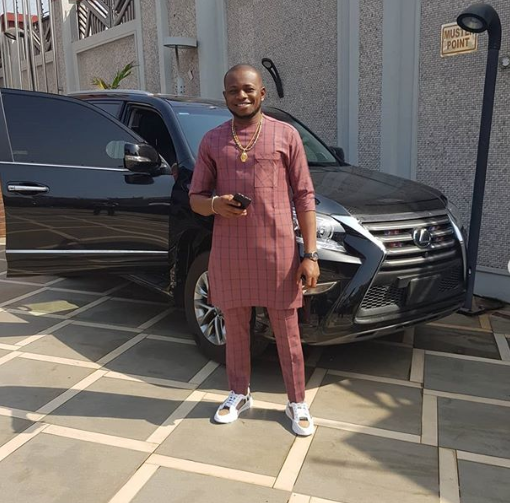 Evangelist Chidi Ibinado, a popular Nigerian cleric has been accused of being a fraud. He was accused of deceptively soliciting for funds, claiming he wants to help widows. The evangelist is being accused of the fraudulent act by a popular philanthropist, Dr Yolanda N. George-David. 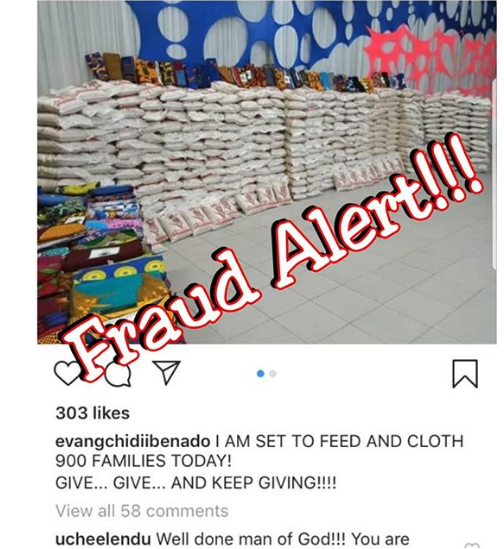 Some time ago, Evangelist Chidi Ibinado shared photos of bags of rice, wrappers, and other items which he claims he bought to distribute to widows. He then asked social media users to donate for more items. However, it turns out he didn’t buy those items as he claims. The photo of bags of rice and wrappers which he said he bought for widows are actually photos from an event tagged CPM Festac’s Papa Move. 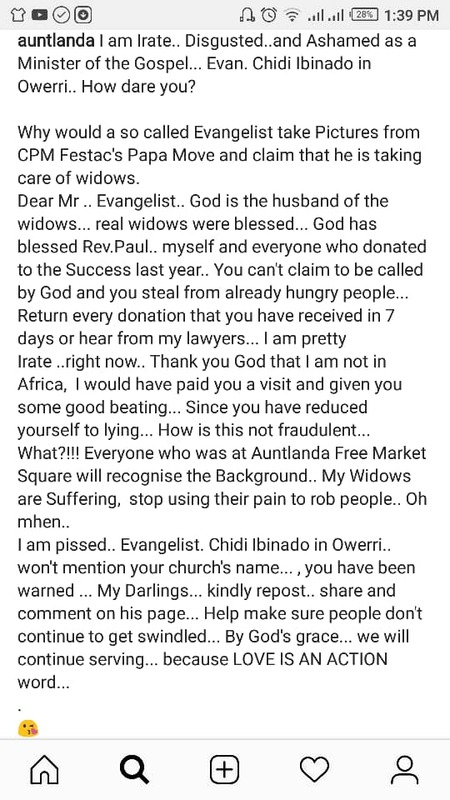 He is alleged to have taken their photos, shared it online, and passed it off as something he is doing for widows. He was busted by philanthropist Dr Yolanda N. George-David who was one of those that organised CPM’s Festac Papa’s Move. “I am Irate.. Disgusted..and Ashamed as a Minister of the Gospel… Evan. 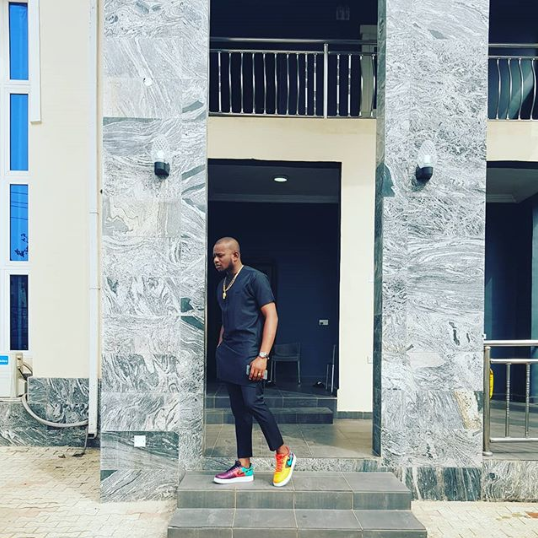 Chidi Ibinado in Owerri… How dare you? “Why would a so called Evangelist take Pictures from CPM Festac’s Papa Move and claim that he is taking care of widows. 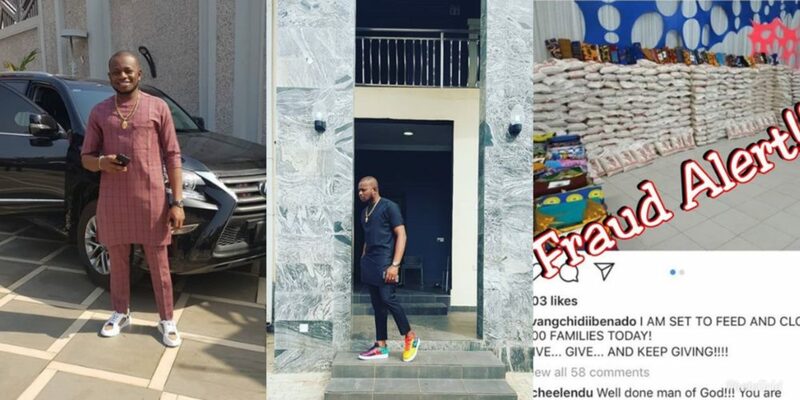 Evangelist Chidi has since locked up his Instagram page and deleted the post he made about buying items for the widows. However, Dr Yolanda N. George-David made anther post, telling him it is not enough to delete the post but must make an acknowledgment of doing wrong. “Uncle it isn’t enough to delete the post… You must acknowledge that you used our pictures from Papa’s move without permission and consent and you claimed that you were set to care for 900 widows… and you demanded for donations under false pretences… Your members deserve better…. You must make refunds to everyone you extorted from your imaginary outreach…. Ask your lawyers the implications of your post… You can’t sit in Owerri …Evan. 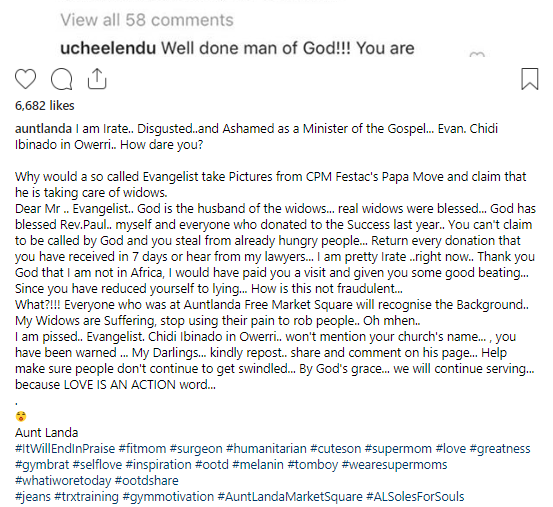 Chidi Ibinado steal pictures… from Papa’s Move and then share… You messed with the wrong set of people.. Why would a so called Evangelist take Pictures from CPM Festac’s Papa Move and claim that he is taking care of widows. “What?!!! Everyone who was at Auntlanda Free Market Square will recognise the Background.. My Widows are Suffering, stop using their pain to rob people..Oh mhen..